On May 10, 1928, in Bay City, Texas, Mr. Robert Fletcher and Mrs. Gladys Jackson Fletcher welcomed their third bundle of joy into this world, a precious baby girl, whom they named, Thelma Marie Fletcher. 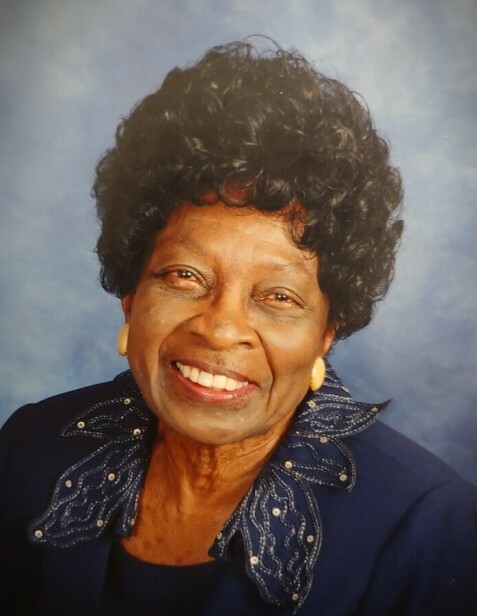 At an early age, Thelma confessed her love for God, accepted Jesus as her Savior and was baptized at Mother Zion Missionary Baptist Church, where she served loyally until her health prevented her from attending regularly. She attended public school in Bay City and graduated as Salutatorian of her class from Hilliard High School. After completing high school, Thelma entered Prairie View College, and she graduated with a B.A. in English. She later returned to school to earn a Master's degree in English. Thelma began her teaching career in Angleton, Texas. It was there that she met a young man named George "Buster" Fountain. After teaching in Angleton for one year, she became the high school English teacher at Hilliard High. Once Buster discharged from the military, he set on a mission to find the young teacher and he was led to Bay City. Buster and Thelma were married in 1956 and were almost inseparable until Buster's death in 2009. Early in their marriage, they adopted a little boy named Howard, whom they loved unconditionally until his untimely death. Thelma's teaching career lasted 38 years, including 22 years at Bay City High School after integration. She was very community orientated. She was a member of many clubs and organizations. Paramount among them was Delta Kappa Gamma, a world wide organization for outstanding women educators where at one time she served as Second Vice President. She was an original member of the A.G. Hilliard Alumni Association, which she also served on the Board for several years and was inducted into the Hilliard High Alumni Association Hall of Fame. The organization most dear to Thelma's heart was the Daughters In Progress Club of which she was a founding member in 1969. She was preceded in death by her husband, George (Buster) Fountain; father, Robert Fletcher; mother, Gladys Jackson Fletcher; son, Howard Fountain; sisters, Justine Morgan and Elizabeth Edison; nephew, David Edison; and niece, Tiffany Wiggins. Thelma leaves to cherish her memories: four nieces, Pat Wiggins of Bay City, Tx, Althea Edison, Ambra Edison and Shawn Preston all of Houston, Tx; two nephews, Kevin Edison (Shon) of Richmond, Tx and Roland Morgan of Fresno, Tx; and a host of other family members and special friends.